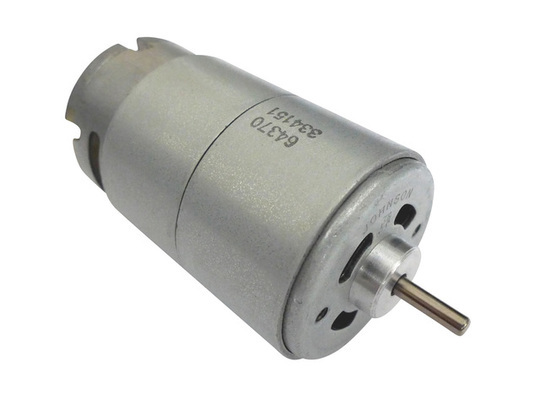 This compact and high-powered brushed DC electric motor is of a '550' can size, typical to many cordless tools and remote control cars. Maximum efficiency power output can exceed 80W and peak power output is hundreds of watts from a motor only 36mm in diameter. 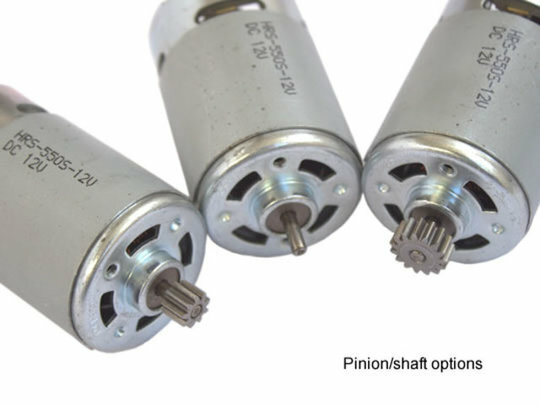 The motors come complete with either a 9 tooth or 15 tooth pinion gear (approx 0.7 Mod), or just a plain 3.17mm shaft. Your preferred option can be selected through a drop-down box below. Please see the specifications table under technical details for more information. This model of motor is very similar to our ADRS550SH model motors, with slightly different operating characteristics. 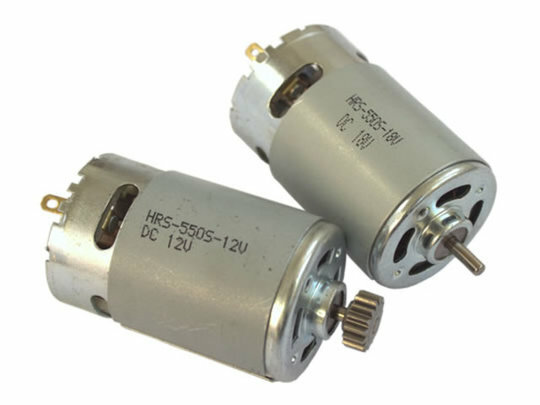 As a relatively common '550' can size these motors may be used as replacements for many cordless tools or electric toys, though do be sure to check that the specifications match up closely enough with your current motor before attempting to use them. The motor has a built-in cooling fan which is crucial to enabling the high power output from such a small motor size, be sure not to obstruct the vent holes towards the rear of the motor body so that hot air can escape. Ensure that any power and control electronics used with the motor are rated to handle the high currents that the motor can demand, as set out in the operating specifications. All values are given for operation at the nominal voltage (the 12V motor at 12V, or the 18V motor at 18V). The motor should not be allowed to stall more than momentarily or it is likely to overheat very quickly. The dimension 'A' above is 76mm while the dimensions 'B' is 13mm. The pinion gears aren't shown on the above diagram.